To celebrate the launch of the Gromit Unleashed arts trail in Bristol, we’ve got some new Gromit film kit assets for you to use! 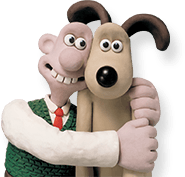 The kit contains a worksheet showing you how to create a Gromit out of modelling clay, as well as a blank Gromit template if you fancy creating a design for your own Gromit statue. You can then try animating your creation in either 2D or 3D. We’ve also included some backdrops in case you’d like to make a set! You can visit the Gromit Unleashed trail for the next 10 weeks, where 80 Gromit statues customised by artists from around the globe will be decorating the streets of Bristol.